Collision Craft Auto Body Repair is your one-stop solution for complete auto body repairs. We are a family-owned, trusted collision repair service specializing in paintless dent removal, collision repair, computerized paint matching and more! Contact us today for a quote on service. Accidents Happen in Westmont, IL; We Can Help! Tired of looking at that unsightly dent on your hood? Hate being reminded of your recent fender bender by that crushed bumper? If damages like these are marring your car, it’s time to consider what a good auto body shop in Westmont, IL can do for you. 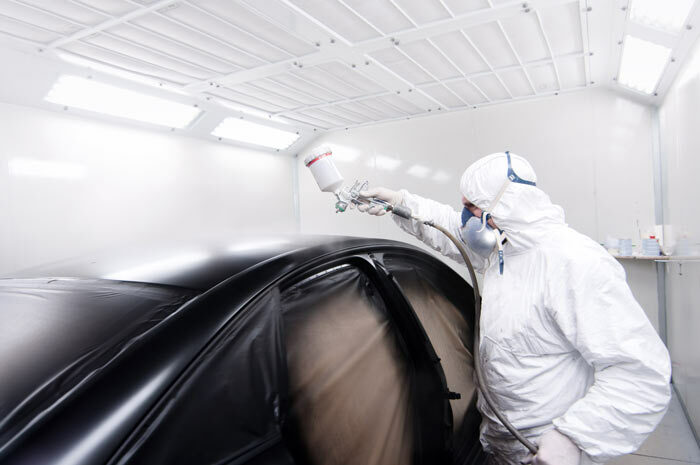 Collision Craft Auto Body Repair is here to help you remove dents, dings and other damages, big and small, to restore your vehicle’s appearance and integrity to a like-new level. Even if you’ve been in a recent accident, our shop is equipped to handle bodywork at any scale—including front-end collision repair and frame alignment. We specialize in luxury vehicles, but can handle body repairs on most makes and models. We’ve been in the business since 1978, with more than 40 years of professional experience. For vehicles not drivable, we offer towing within a 20-mile radius of our location. Our shop is I-Car Certified. We’re affiliated with the National Federation of Independent Business. From the smallest dent to the biggest frame repair, we offer complete bodywork for your vehicle. Contact us today to schedule an appointment and experience top-level results. "Some person who was in a big hurry rear ended my car. During a very stressful time I found Collision Craft. They do a lot of work for the hi..."
April 7, 2017 Izzy K.
"Wow, we brought my boyfriends Lexus here for new bumpers, we were very pleased with the service. The best part was they are open on Saturday..."
February 23, 2017 Voula R.
"This group of guys were wonderful. They were so polite and helpful with a fender bender i had. Acura suggested them to me and i am glad they..."
February 19, 2017 Amelia M.
"I was in an accident and Acura referred me to Collision Craft. That day I went over and Chett gave me an estimate with no issues. Even thoug..."
January 23, 2017 M C.
"Had somebody hit my car. Chet at Collision Craft handled my claim. Front bumper, headlight all needed replacement. Work was done as promised..."